The natural beauty that hardwood flooring adds to a home is unique. It’s the perfect touch that makes you feel welcomed and comfortable. Because at Wheat’s Carpet One our promise is to offer only the best hardwood brands to our customers, we feature Anderson Hardwood as part of our portfolio. Anderson Hardwood began as a small, family-owned business in 1946, and is considered today as one of the nation’s leading hardwood manufacturers. 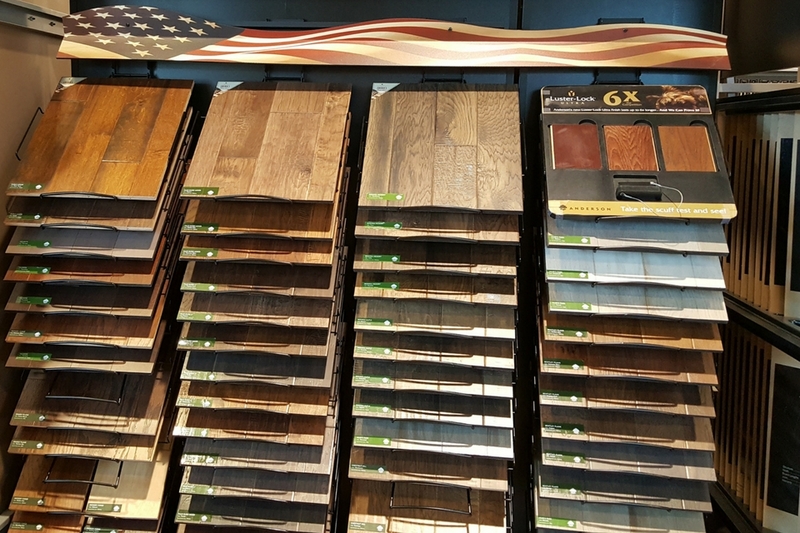 Anderson's unique craftsmanship, impeccable quality, and innovative designs are all the attributes homeowners are looking for when investing in new floors. This brand is also known as an industry leader in hardwood innovation. They have introduced to the flooring industry revolutions like the first aluminum oxide high-wear wood floor finish and the Luster-Lock® Ultra finish. Anderson not only creates high performance hard surface floors, but they also feature attractive warranties and products that are easy to install. Their unique no-wax, factory-applied finish makes hardwood floor installations an easy task. Every plank is ready to install right out of the carton. There is no need for sanding or staining. Additionally, Anderson products feature easy installation with their patented Eagle Tongue and Groove system on 1/2-inch products. Every Anderson engineered hardwood floor is manufactured using their exclusive Cross-Locked Engineered® process. This process permanently locks the plies together to deliver more dimensional stability and split resistance than ordinary solid oak lumber. These products enjoy the Anderson Limited Lifetime Residential Structural Warranty. All mill-run engineered products have a limited 15-year warranty and feature the Anderson Limited Residential Finish Warranty. All 3/4-inch solid plank and strip products have a limited 20-year warranty. If you want to experience Anderson Hardwood firsthand, visit our showroom today or fill out the form on this page and we will reach out to you. We are located at 51 McFarland Boulevard, Northport, AL 35476.